Dunmow, Essex. 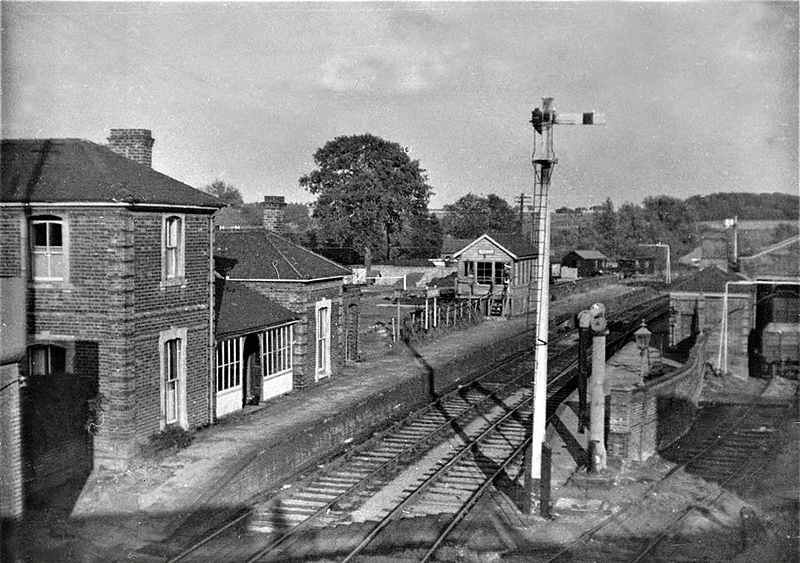 The station area looking east from the Dunmow Road over bridge (2080) The station was on the Bishops Stortford to Braintree branch which closed to passenger traffic on 3rd March 1952. Freight traffic continued from Bishops Stortford until 1st April 1969. Behind the signal box was the down goods yard, the main goods area including the goods shed were to the right, out of shot. The 330ft down platform to the left contained the major station buildings, station house, waiting room etc. Image dated summer 1965. with kind permission of Jim Wyatt. In hindsight, it's a shame this line closed. it would have made perfect rail access to Stansted Airport from the Liverpool Street to Norwich line.